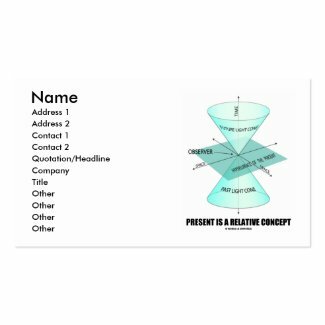 Do you often wonder where you are on the time-space continuum? 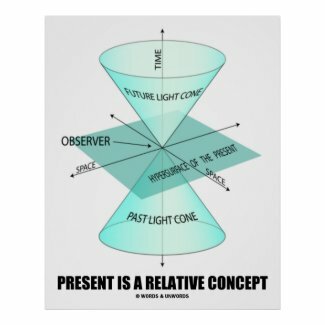 Wonder no further with any of these physics humor geek attitude gifts featuring exactly where an observer is in the present, between the future light cone and past light cone. 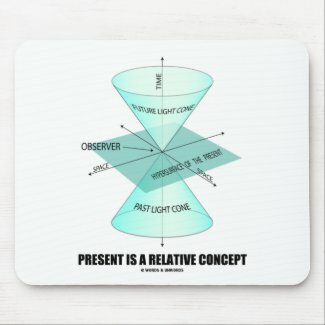 Make others do a double-take with any of these educational, scientific truism saying gifts which notes that "Present Is A Relative Concept"! 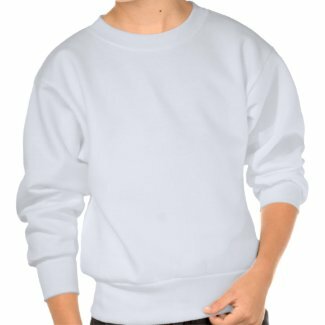 Shop for another hand towel. 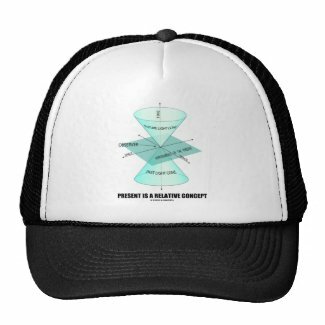 Design your own photo hat from zazzle.com.